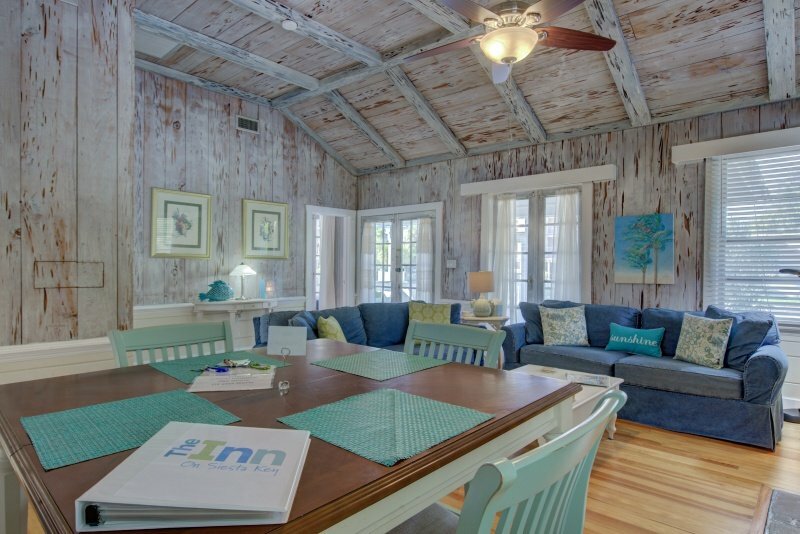 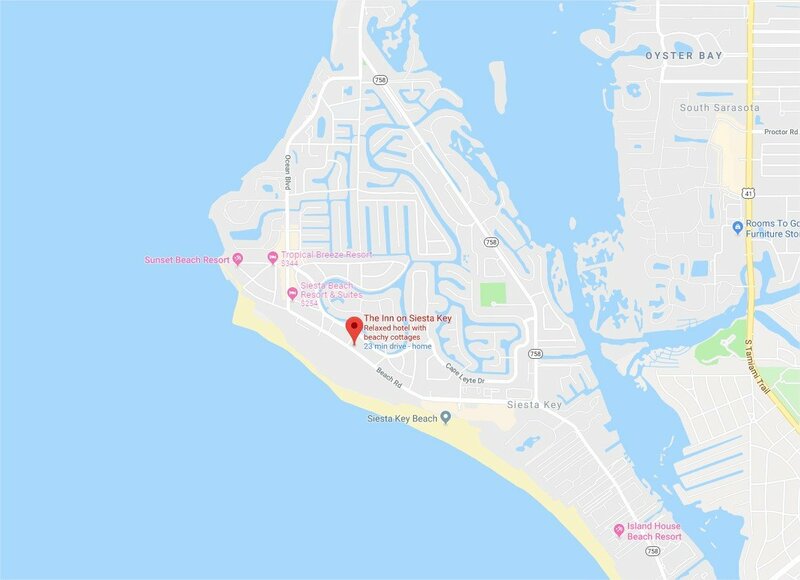 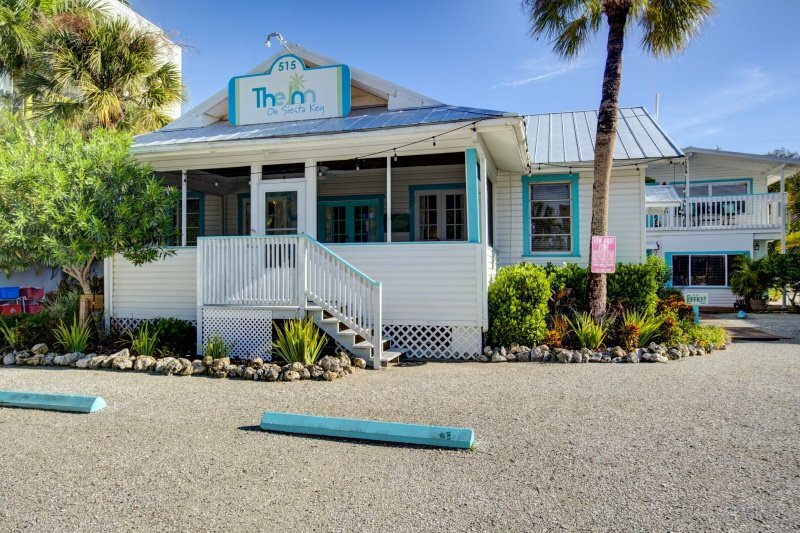 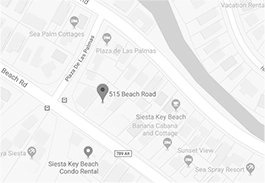 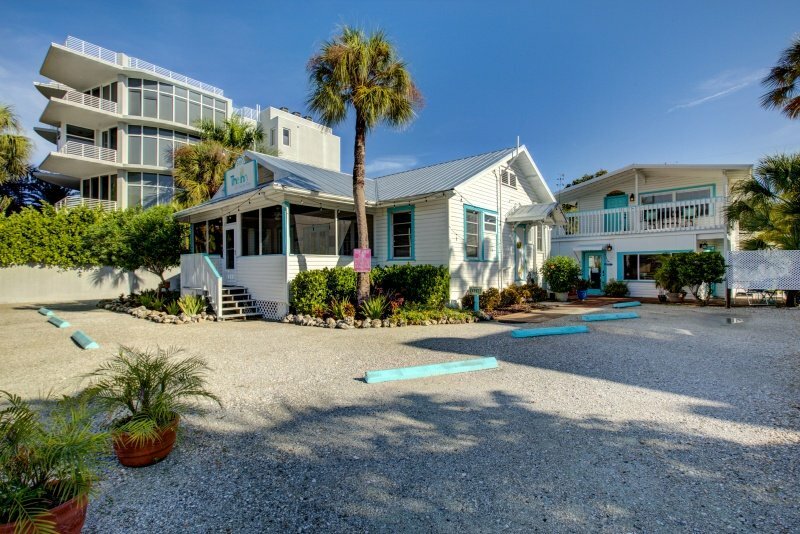 Immerse yourself in historic Florida beach life with this one-of-a-kind accommodation! 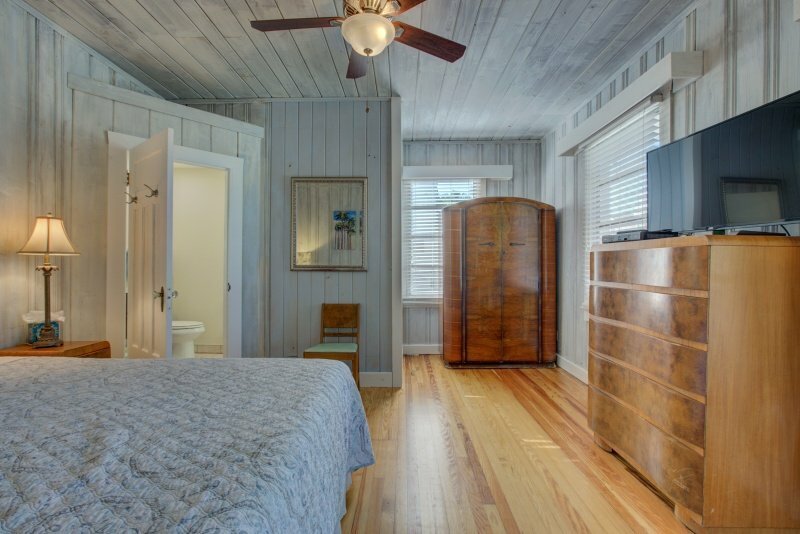 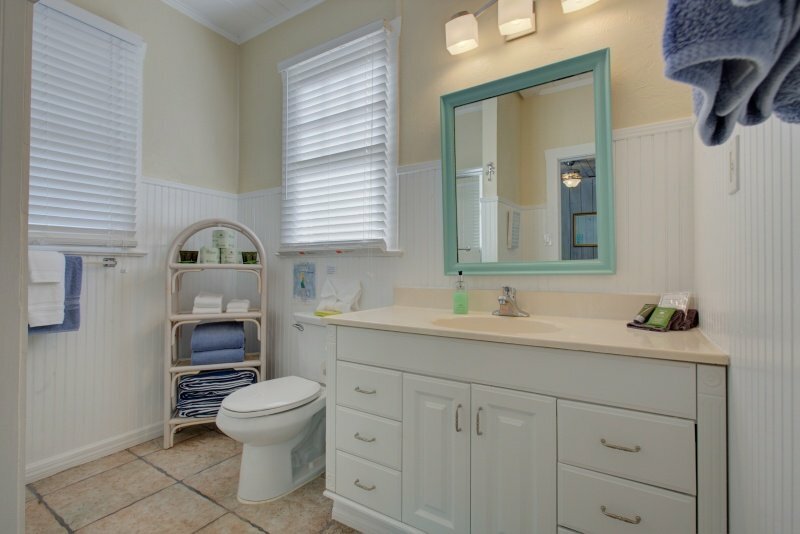 No other hotel or resort room can come close to the old Florida charm of the Cottage. 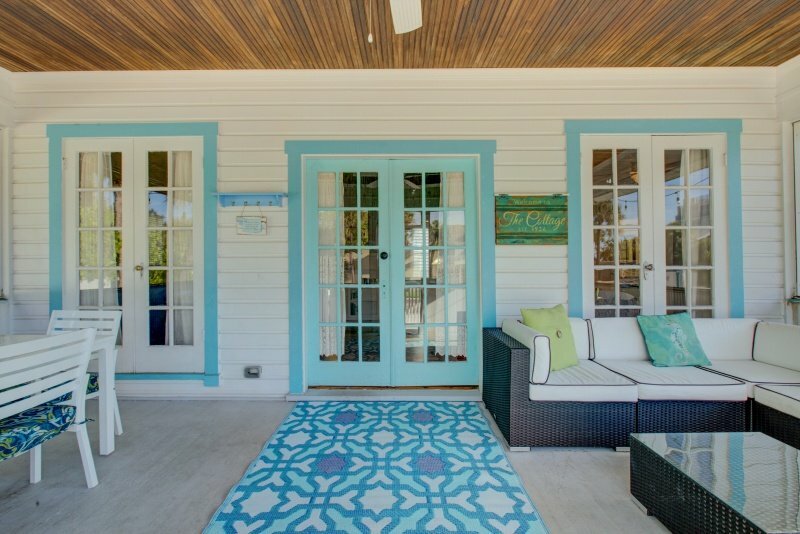 Built in 1936, The Cottage graces the front portion of 515 Beach Rd. 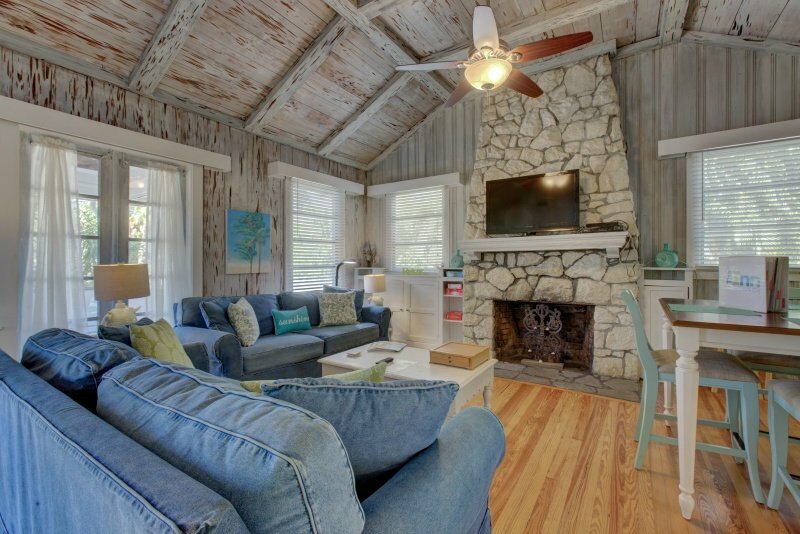 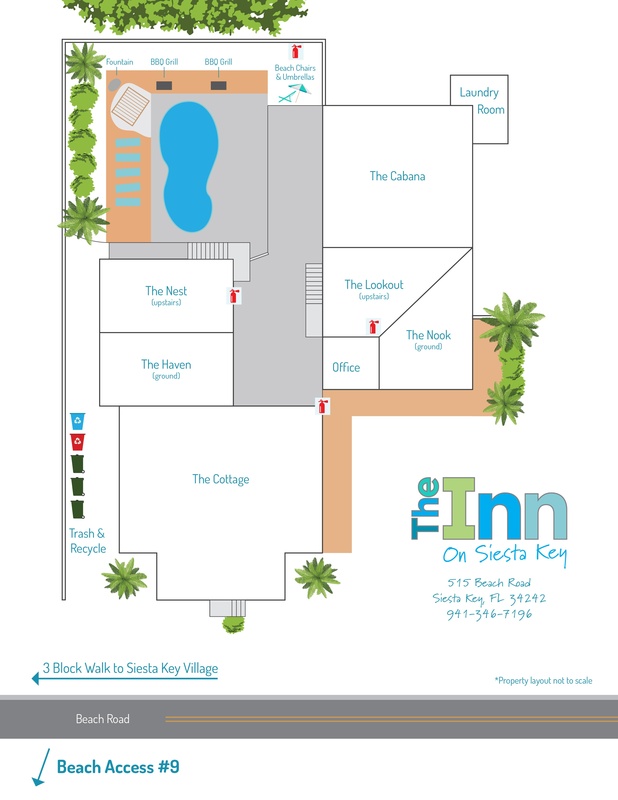 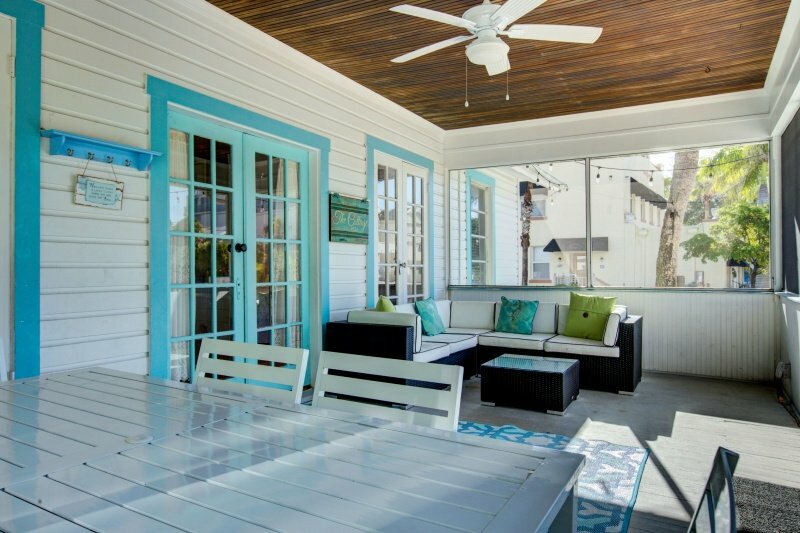 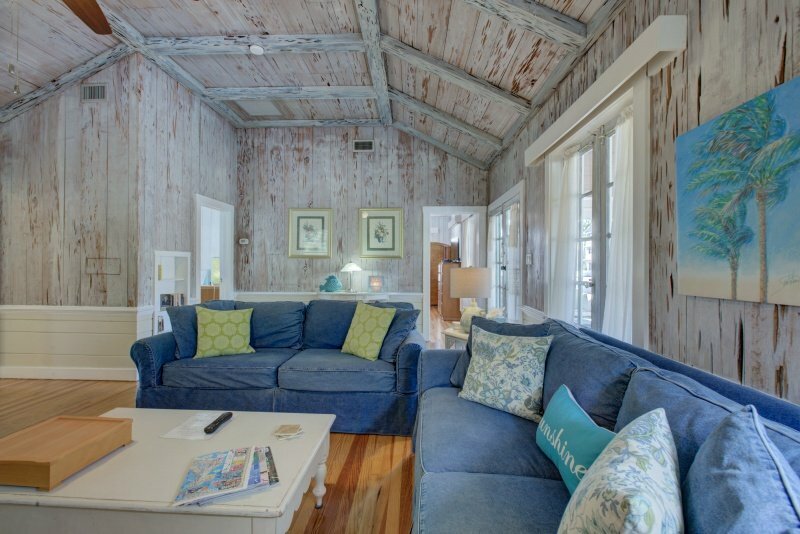 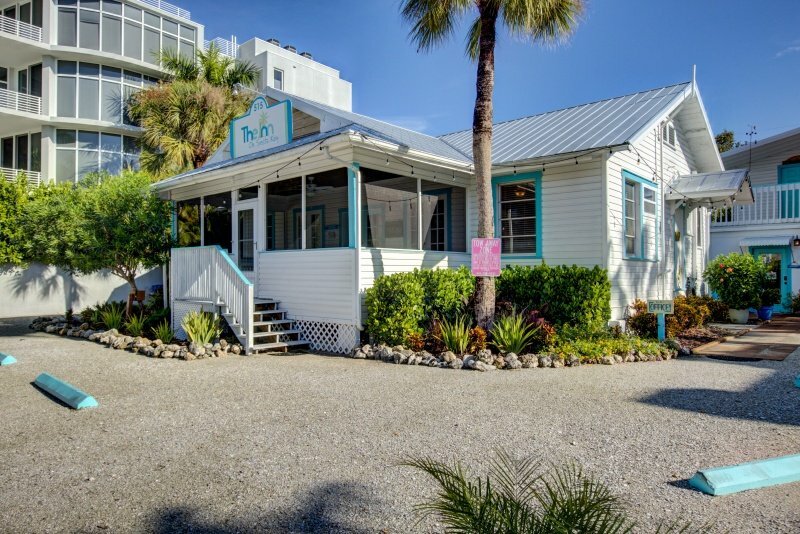 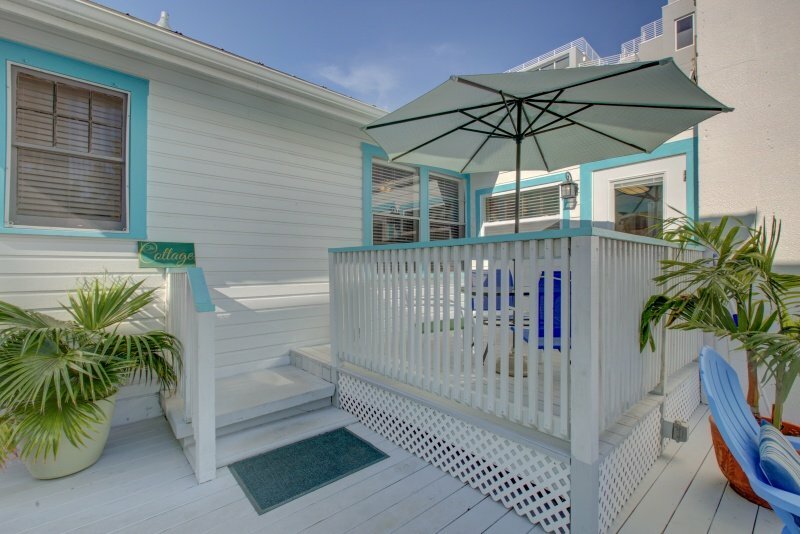 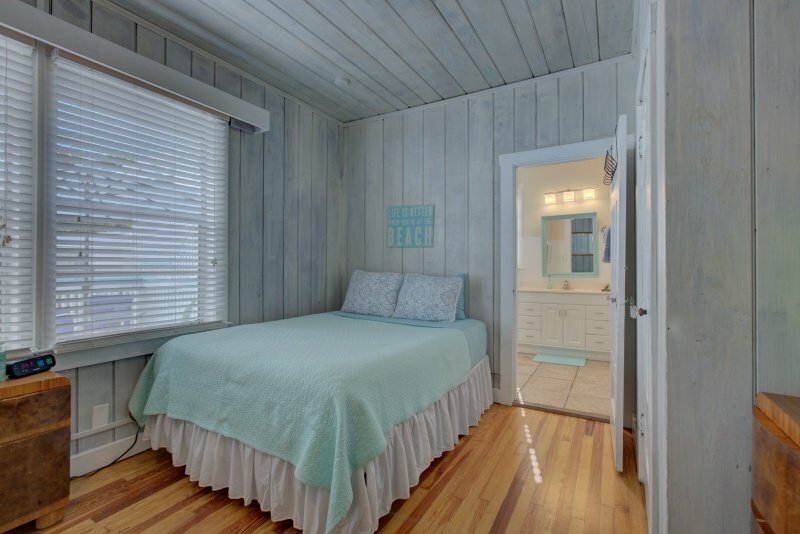 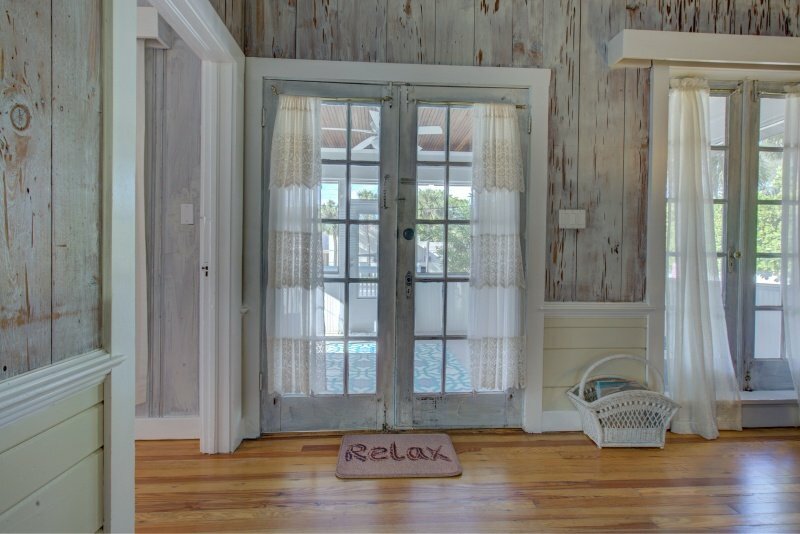 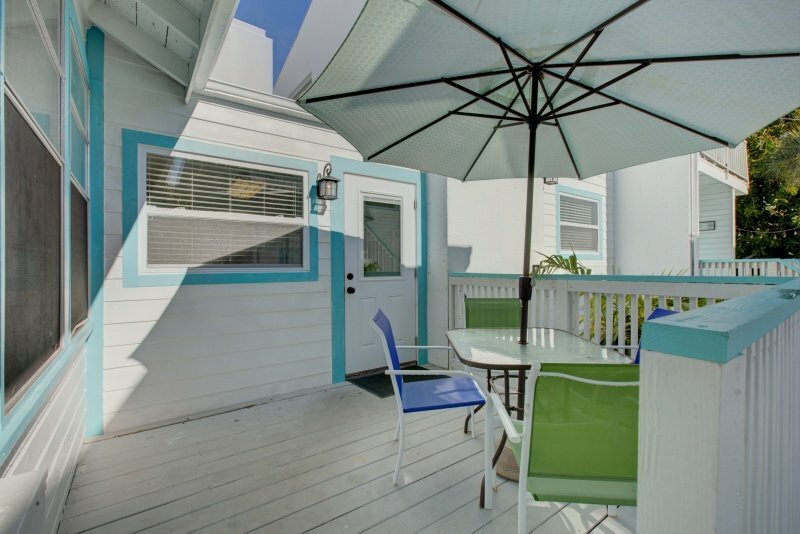 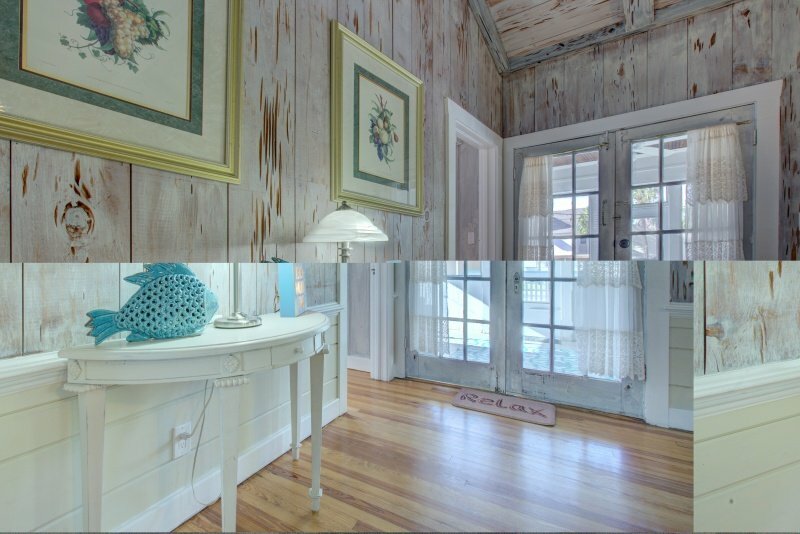 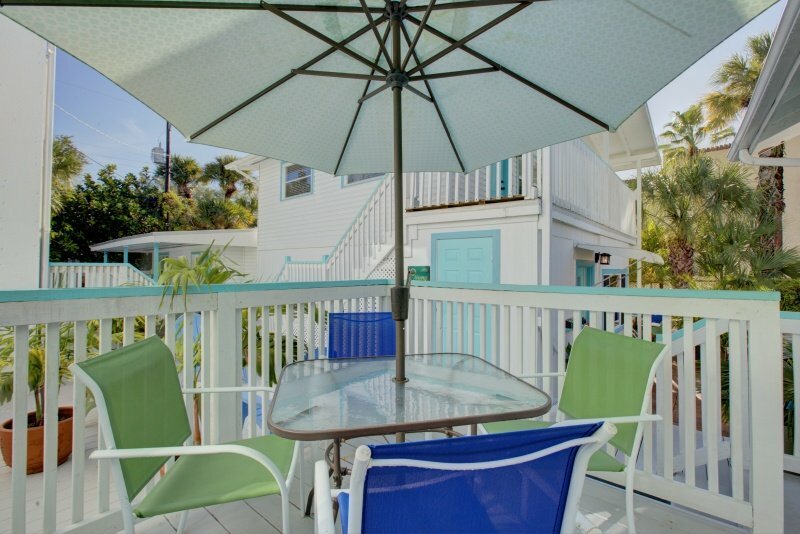 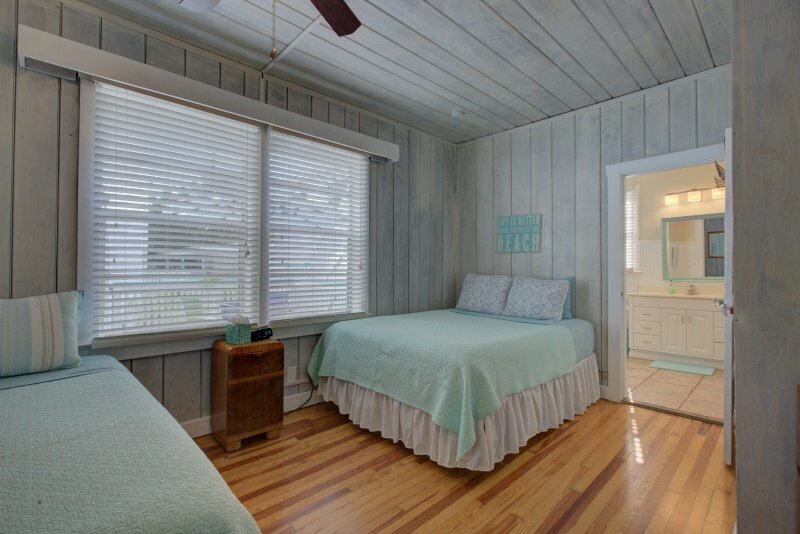 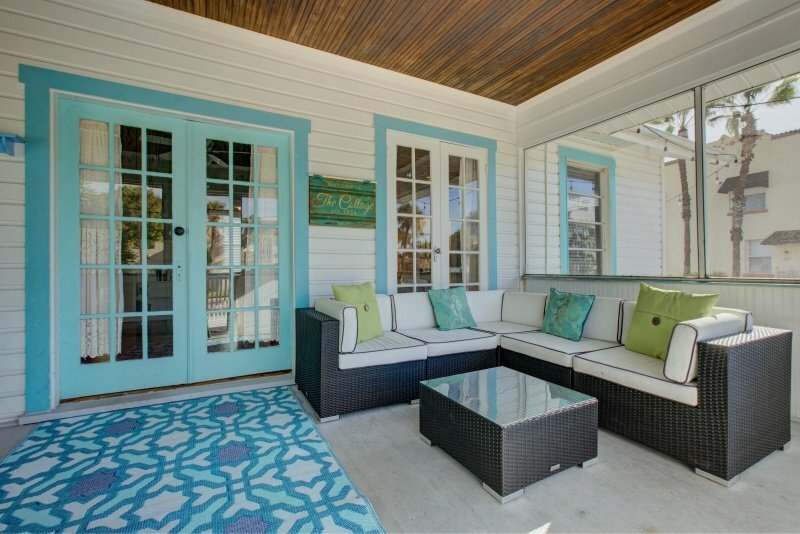 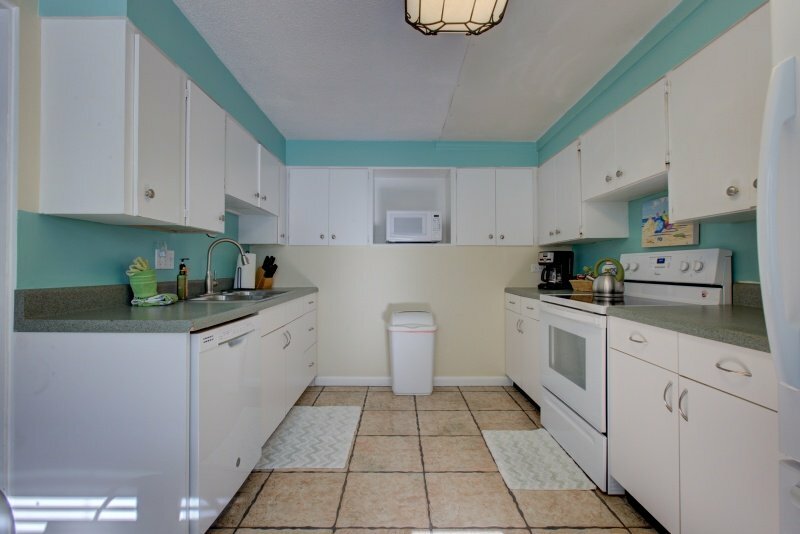 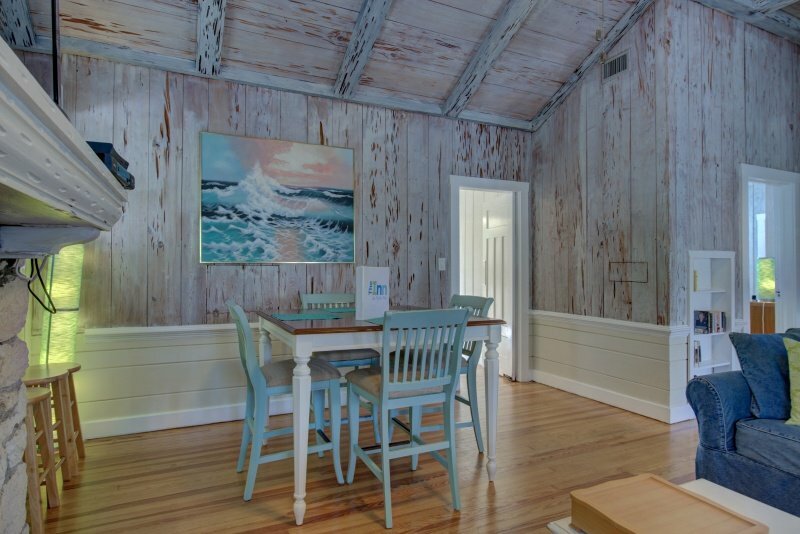 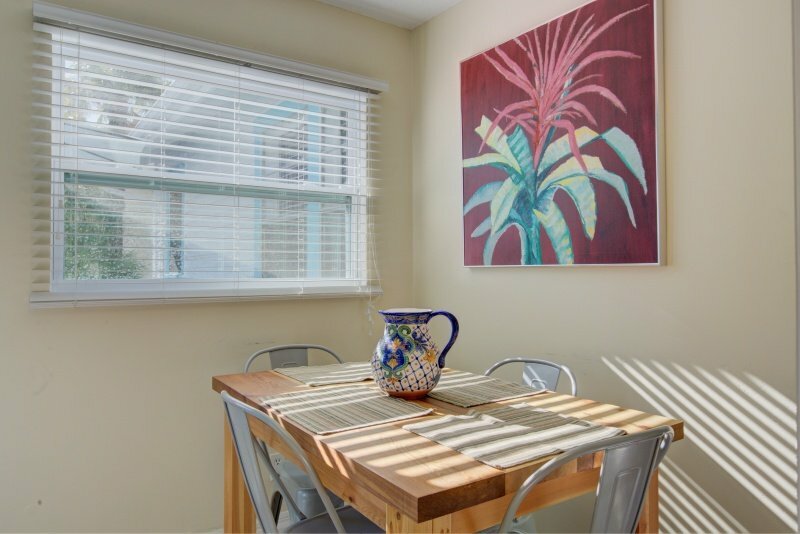 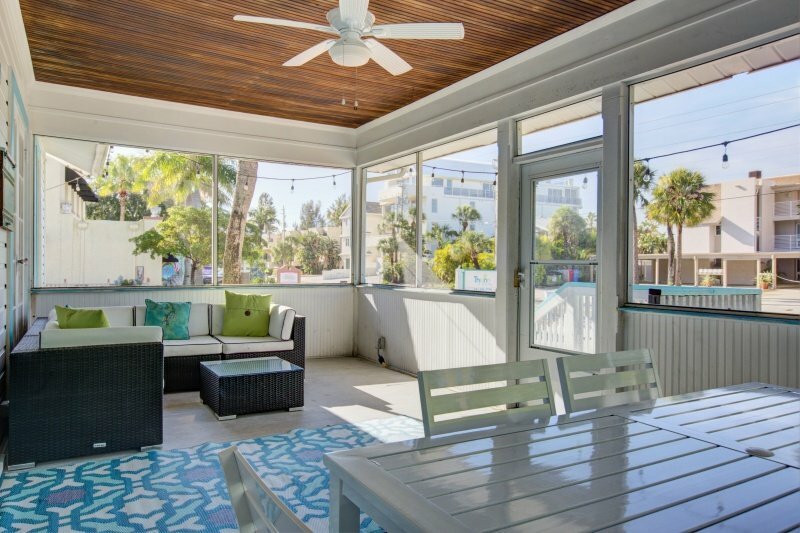 A lovely 20′ x 20′ screened in porch is the entryway to this fabulous Vintage Florida Beach House. 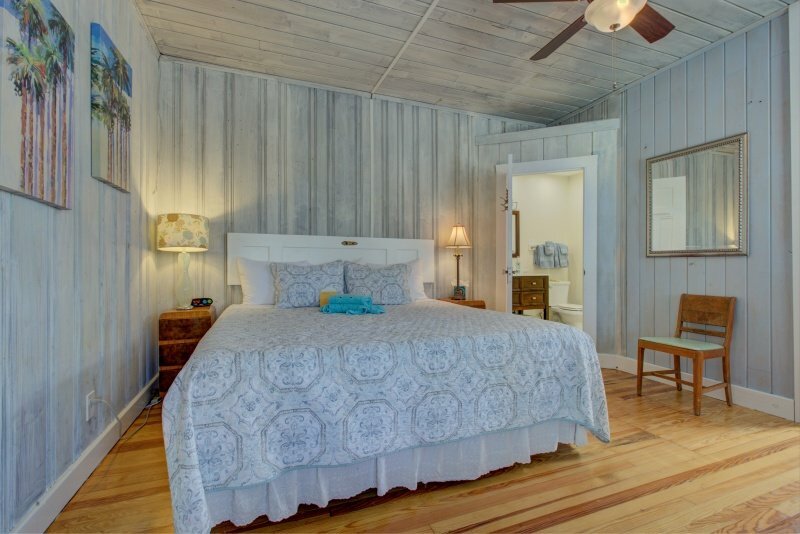 As you walk through the two French glass doors, you are greeted by original hardwood floors, vaulted ceiling, pecky cypress paneling. 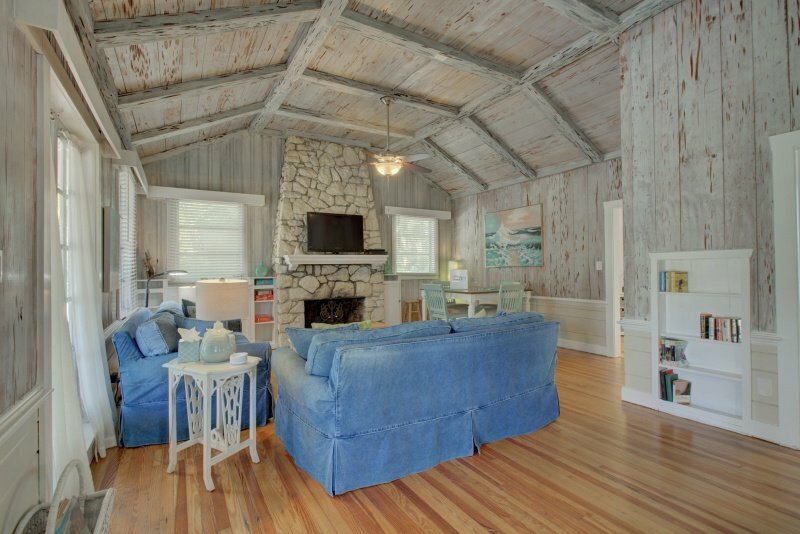 The focal point in the living/great room area is a beautiful natural stone fireplace. 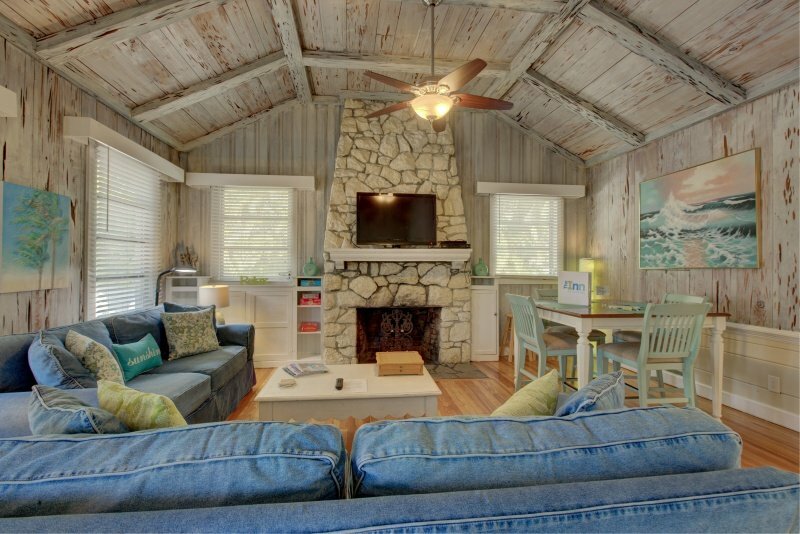 The mantelpiece now hosts a 50″ flat screen TV with Blu-ray player. 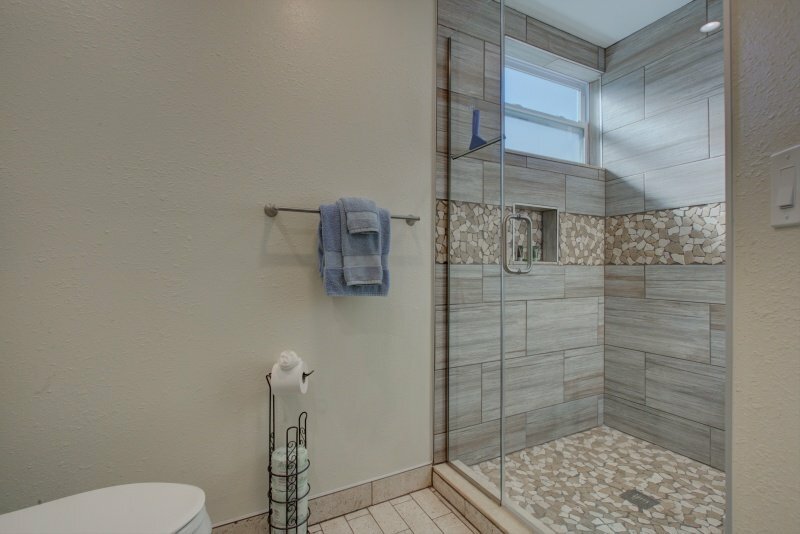 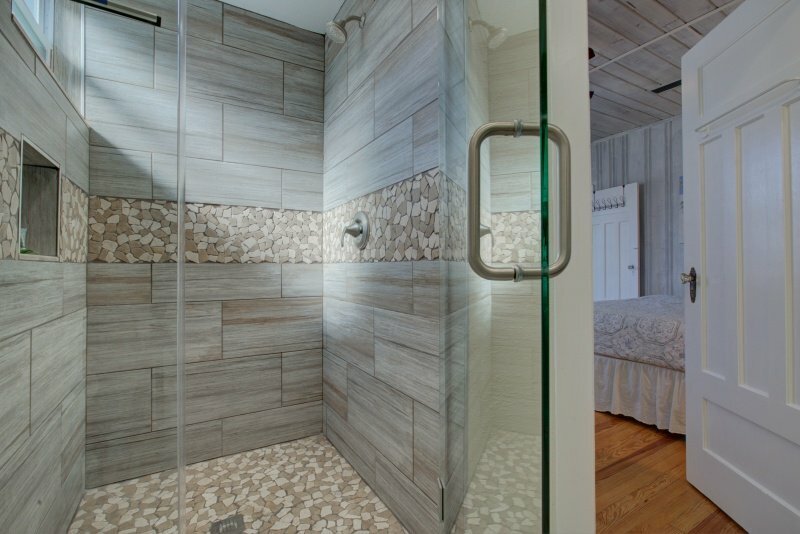 The king bedroom has its own private shower bath attached. 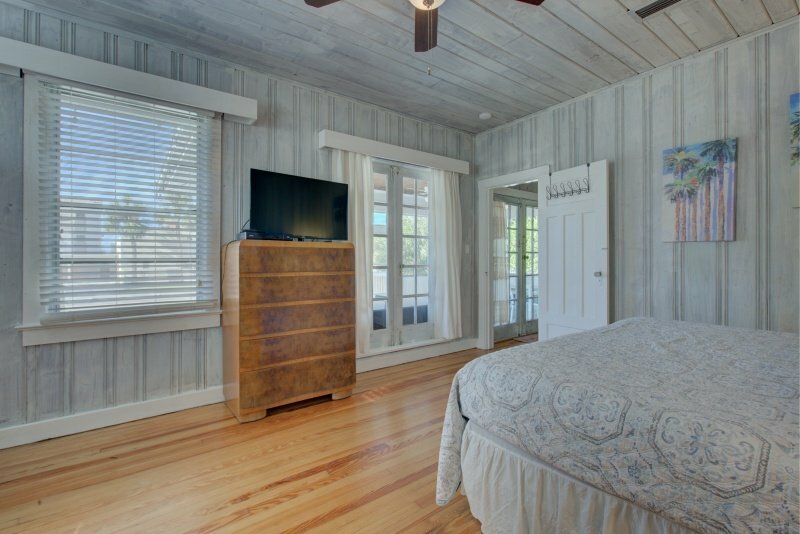 There is also a flat screen TV in the master bedroom for your convenience. 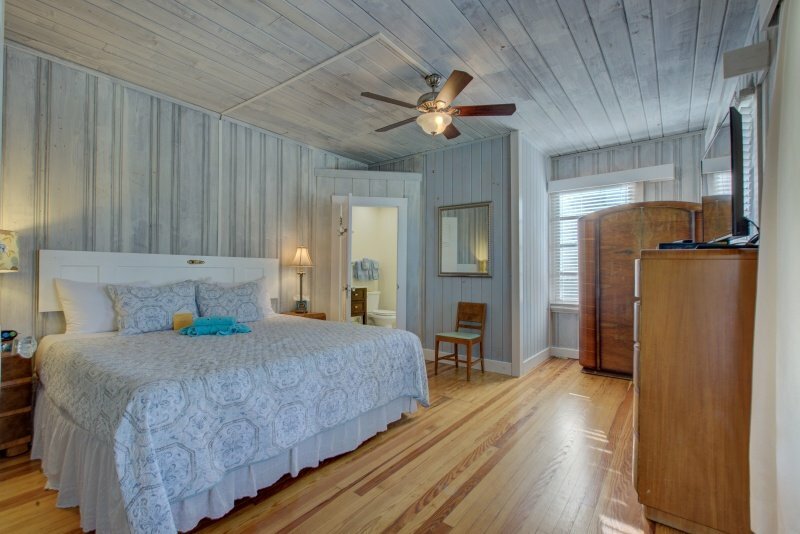 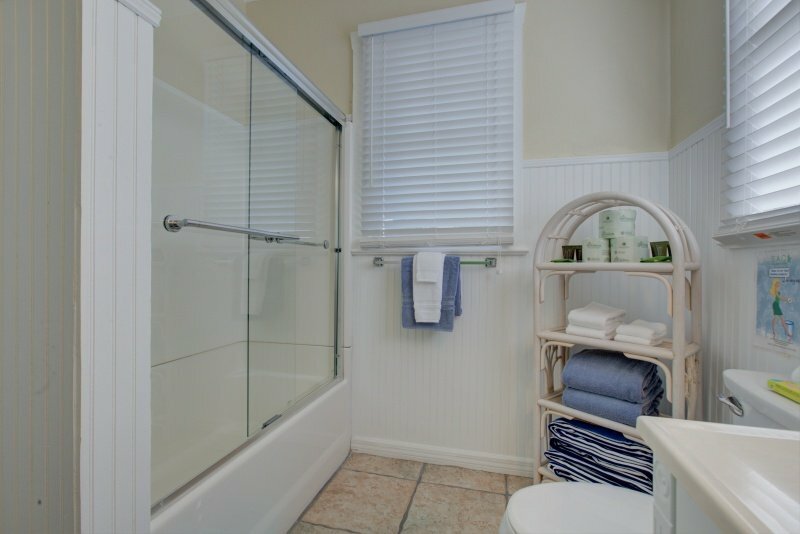 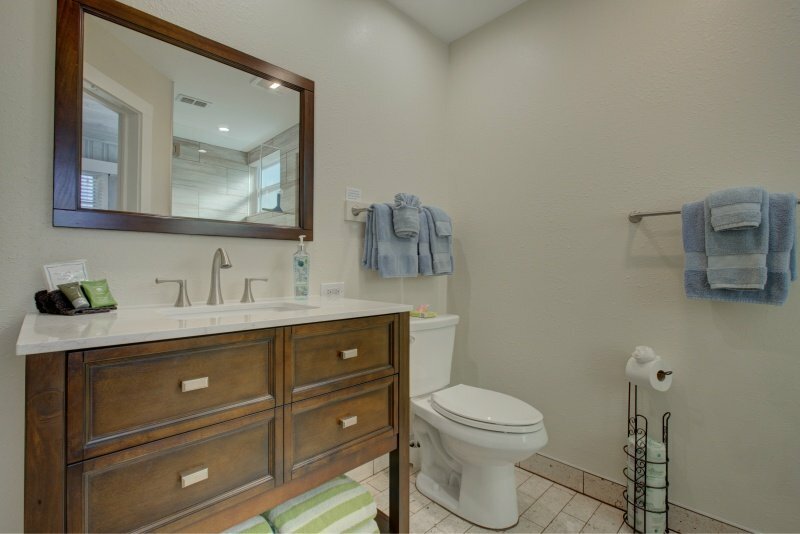 The second bedroom consists of two Queen Beds and also a large attached tub/shower bath. 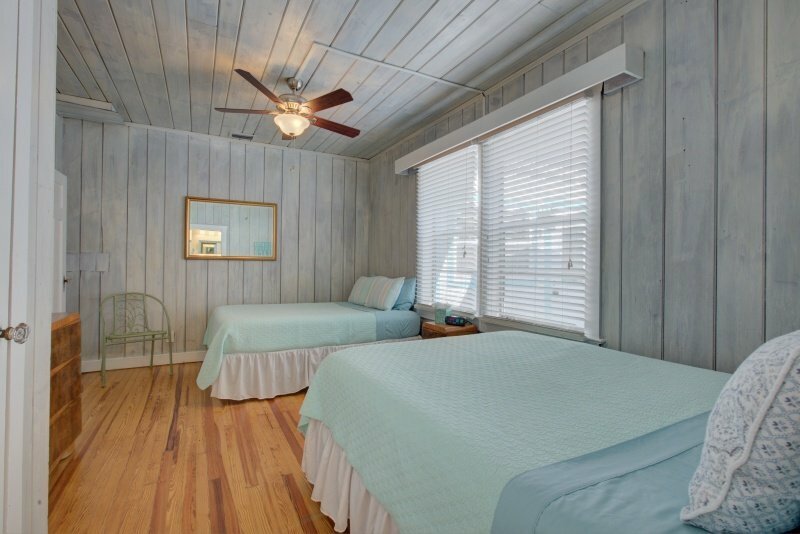 2nd bedroom has a 35″ flat screen TV as well. 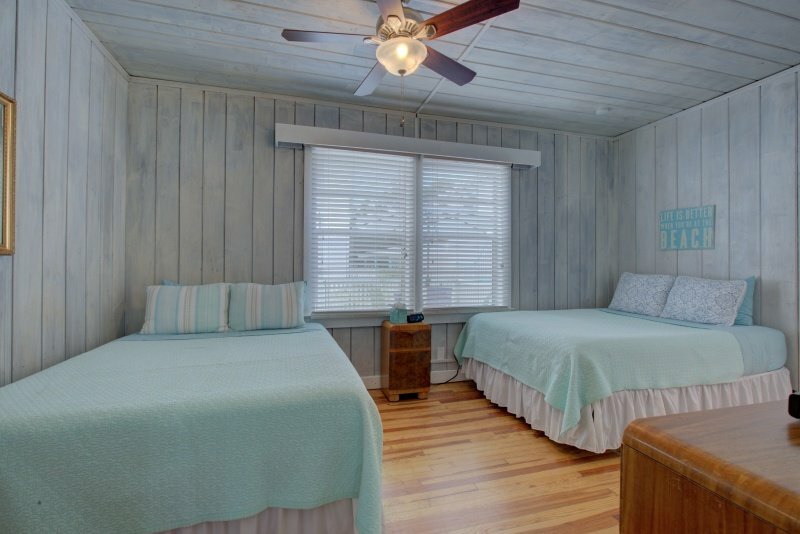 There is a third room/den with a twin bed in it for extra sleeping space. 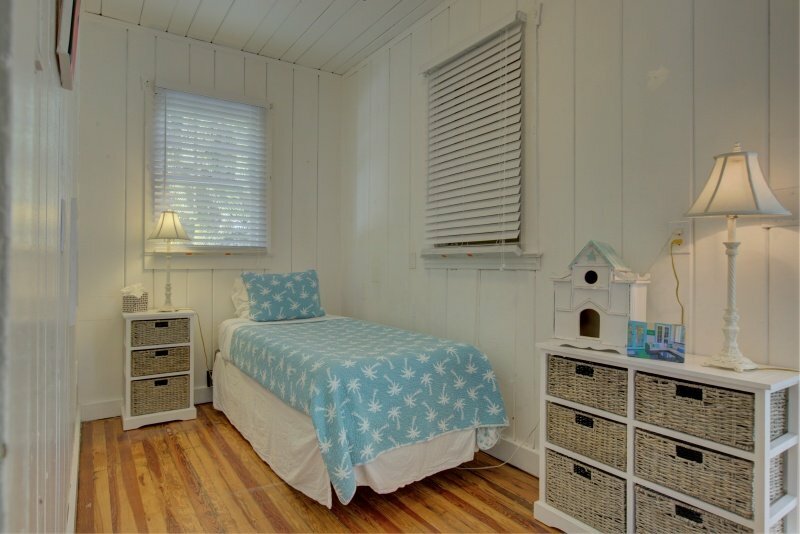 By all accounts, it is a bedroom just lacking a closet. 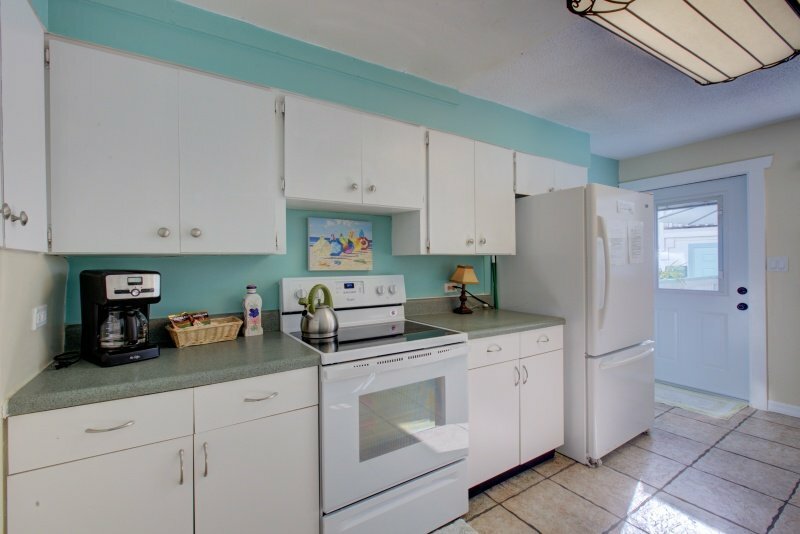 A full eat-in kitchen makes family gatherings that much more delicious and economical with eating in. 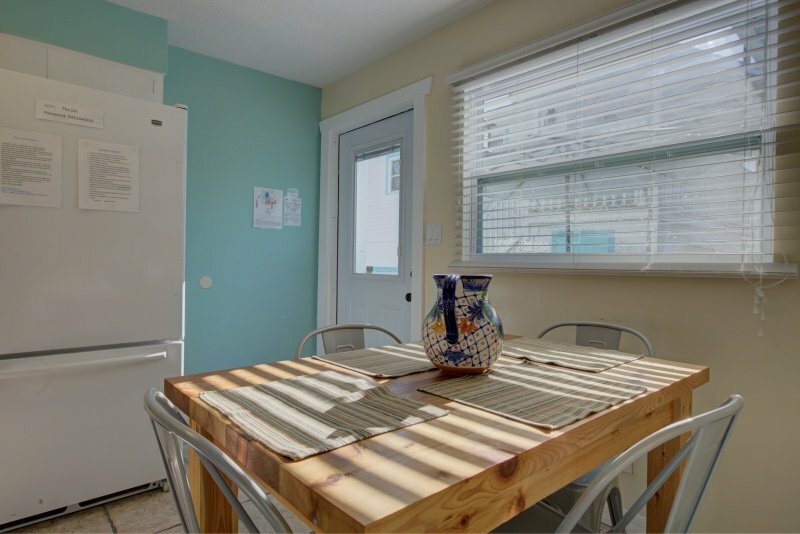 A nice outside patio is directly off the kitchen.